There are currently seven Era games, which we have produced over the last 5 years. Every one of those has amazing content, a detailed world and hundreds of possible adventures, all running on the same Era d10 Rule Set (with genre-related rules modules). But we want to give you more! We believe that when you have one of our Rulebooks, support for the game isn't finished, it's just beginning. 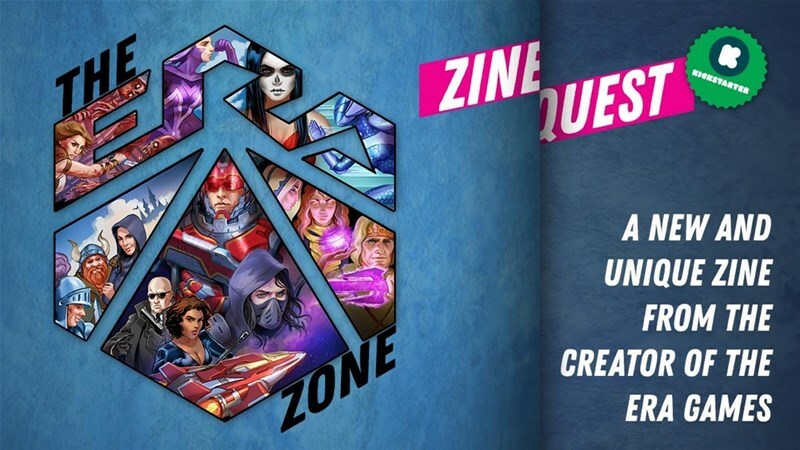 So, with The Era Zone, our contribution to "Zine Quest", we want to give you new material for all of our games, as well as some great setting-neutral material which can be applied to any game! We're planning to produce a minimum of 2 issues this year (which will hopefully increase to 4, if we meet Stretch Goals! ), containing new ideas, unique material and more! The Kickstarter's closing in on 2x funded, but there's only 9 days left to go in it.